Facebook Introduces Location-Based Ad Tool: "Location Aware Ads"
Facebook is bringing local businesses another valuable ad tool with the launch of a new product called Location Aware Ads. This innovative tool leverages “geofencing” to enable marketers to target ads to users according to their precise locations. The tool determines which ads users are shown by collecting their location information from their smartphones and other mobile devices. Then, marketers can target their ads and special offers to the users most likely to act on them. The Wall Street Journal featured more on this new ad tool designed to direct more business to local businesses. Location Aware Ads give marketers better targeting capabilities than ever, especially in terms of local businesses. In fact, Facebook has also added a unique “Get Directions” call-to-action that can guide users directly to a specific location from their smartphones. Facebook has been focused on geofencing since the company acquired location-based ad company Rel8tion and location-based check-in service Gowalla back in 2011. These acquisitions gave Facebook the power to develop geofencing into a proprietary ad tool. Of course, users can opt out of these ads by activating certain settings on their mobile devices that prevent their location data from being shared with Facebook. 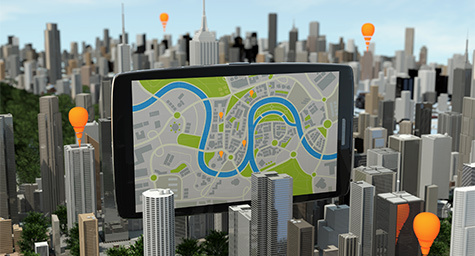 Leverage the benefits of location-based ads. Contact MDG Advertising.